Founded in 1957, Blaston & District Agricultural Society ran its first Show that same year, a small gymkhana. From little acorns, mighty oaks do grow… the Show is now a popular summer fixture, last year drawing record crowds. The 60th anniversary show, which takes place on Sunday 25th June, will be bigger and better than ever. 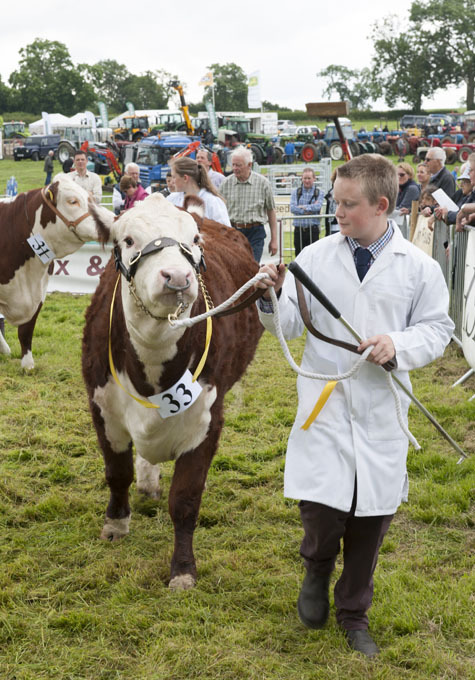 Native breeds of cattle, such as Hereford, South Devon, Beef Shorthorn and Lincoln Reds will be on show, together with a selection of prime stock cattle. There is also a class for Young Handlers under the age of 16, both in the Cattle Show and the Sheep & Lamb Show which has a vast array of classes including a Fleece Competition. In excess of 100 dogs take part in the Dog Show, making up the 250 plus entries across the classes. Both Kennel Club registered and Heinz 57 varieties, working dogs and family pets, are catered for, with classes ranging from Best Veteran to Waggiest Tail and the very competitive Best Biscuit Catcher. There is also a wide range of equine classes for riders and handlers of all ages and abilities, everything from show jumping, showing and in-hand classes to the ever popular ‘Family Horse or Pony’ and even a Mature Riders class for the over 45s. New for this year is a Heavy Horse in-hand class which is bound to draw the crowds. There are six Equifest qualifying spots up for grabs, and the show is a qualifier for The Showing Register Showing Finals. It’s not all about four-legged attractions. For the more mechanically minded members of the family, Blaston Show organises a Classic and Vintage Car Run, starting at the Wheel & Compass in Weston by Welland. Cars take a 30 mile tour followed by a grand parade and prize giving, and entries are always strong. Classic tractors also parade in the main ring. Then there is the terrier racing, tug of war and bale rolling, parade of hounds and modern farming display plus, in celebration of this landmark birthday, there will also be a 60th Anniversary Pageant. A perfect family day out, the showground will also be packed with over 50 trade stands and delicious food outlets, plus a zorb pool and junior crossbows to keep the children happy. Entrance to the Show costs £15 per car. A significant proportion of money raised on the day will be given to local charities, with Hope Against Cancer this year’s principal beneficiary. Tickets can be bought in advance via this website, or on the gate.